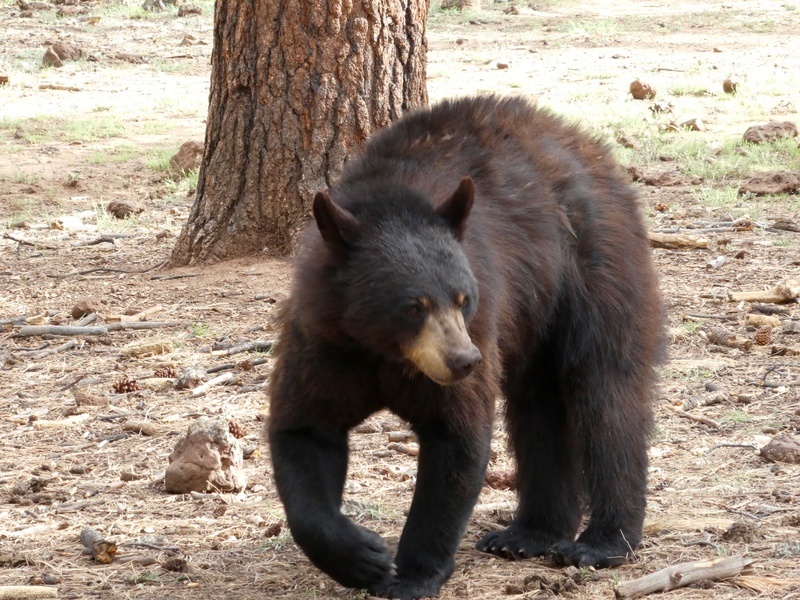 Williams, Arizona, often referred to as “the gateway to the Grand Canyon”, also houses wild bears and other wild animals. 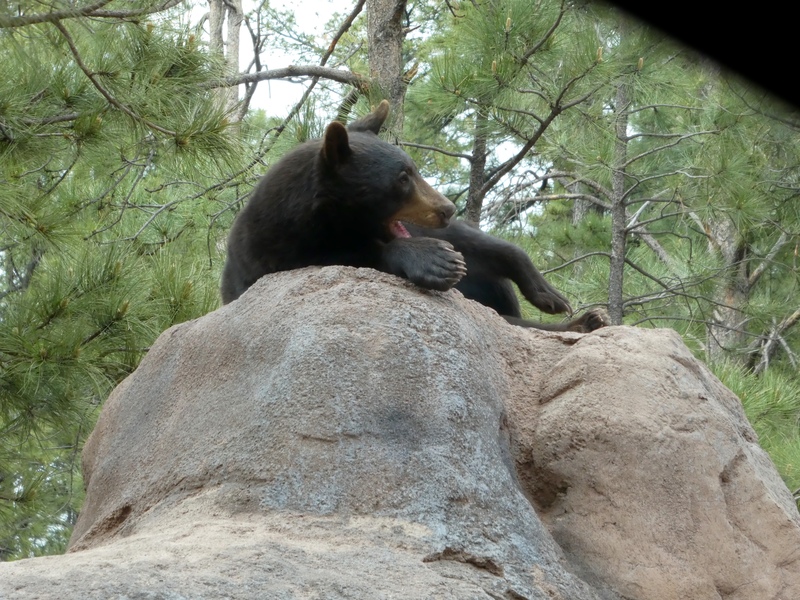 We visited Bearizona, a drive-thru wildlife park in Williams, Arizona. The brochure promises Spin It, which is the drive-thru portion. 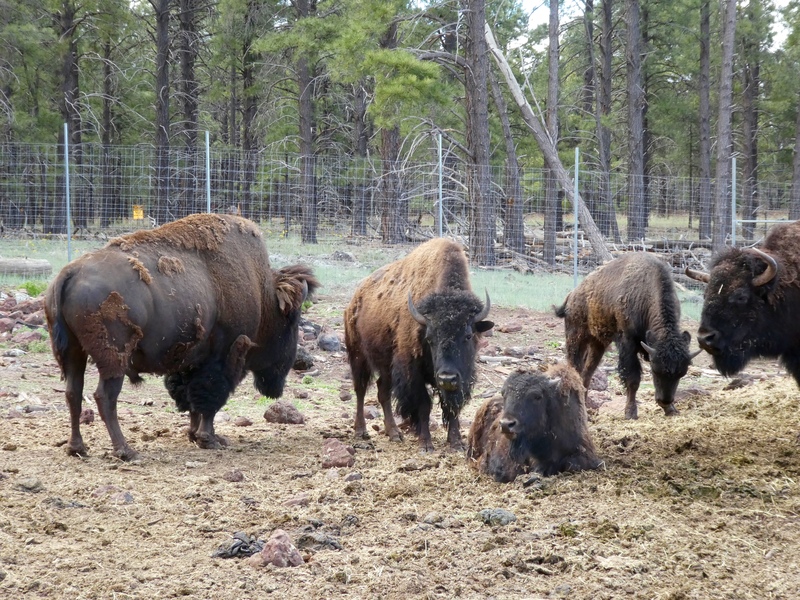 You drive your own vehicle and view North American animals in their natural forested environment. 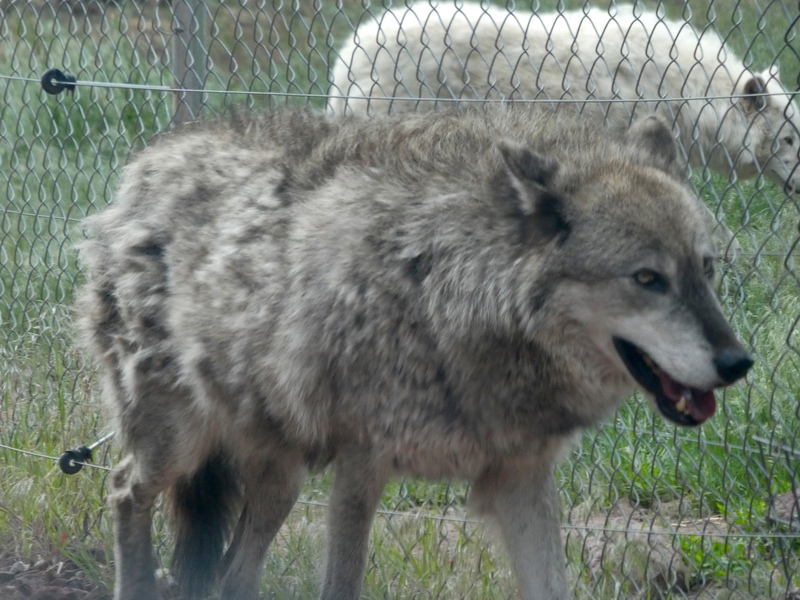 Also, Stroll It, the walk through area for a close up look at many animals. This resembles a zoo. And, Soar It, where visitors witness the High Country Raptors show. 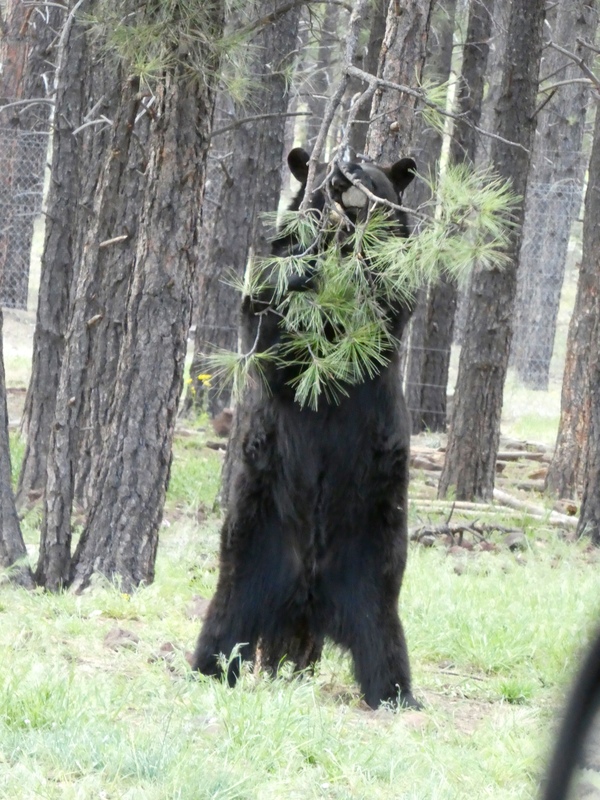 Our moms wanted to see bears walking and playing in the woods, so we started the drive-thru portion. 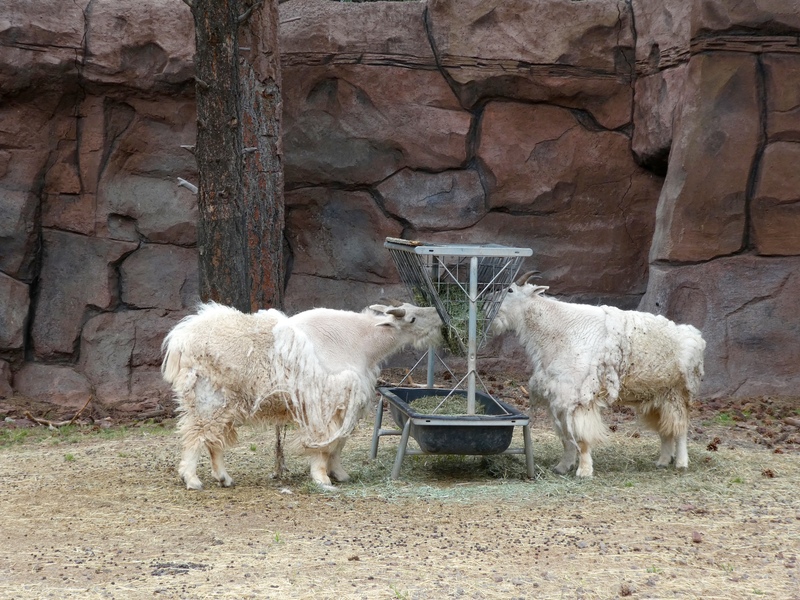 Our first animals, Rocky Mountain Goats, were eating. Rocky Mountain Goats. Fine dining. We liked them. They are losing heavy winter coats, preparing for summer. 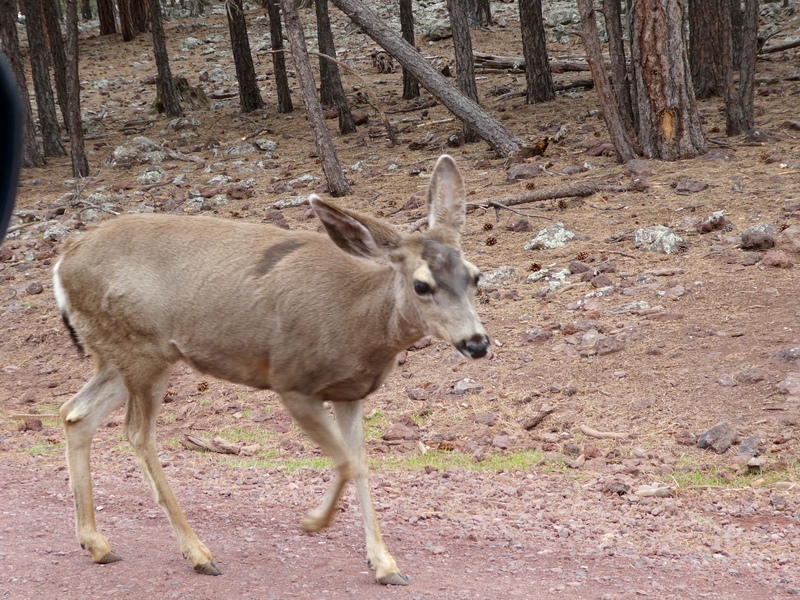 The mule deer wanted to meet us. Mule deer wants to say hi. Or looking for a free snack? We were told not to feed the animals. So we didn’t. 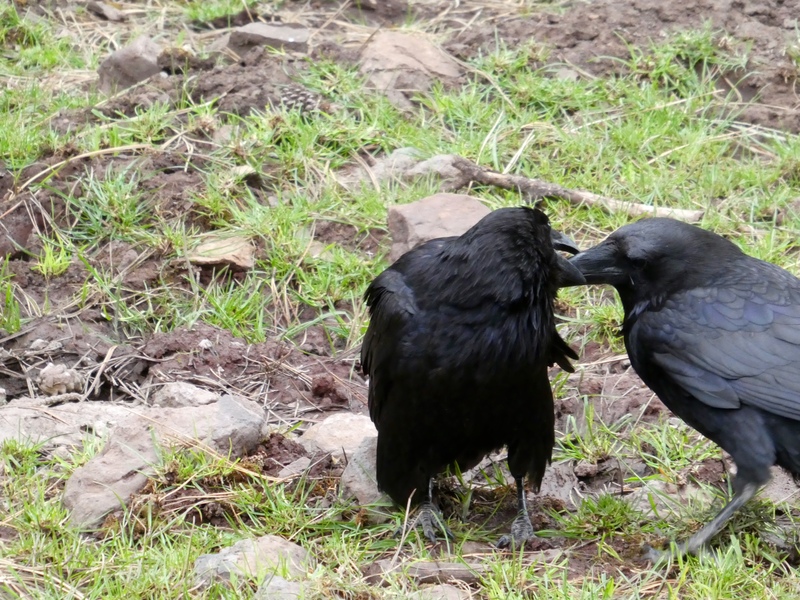 These crows, or ravens, appear to be grooming each other. Definitely keep windows up around the wolves. The white bison were new to us. 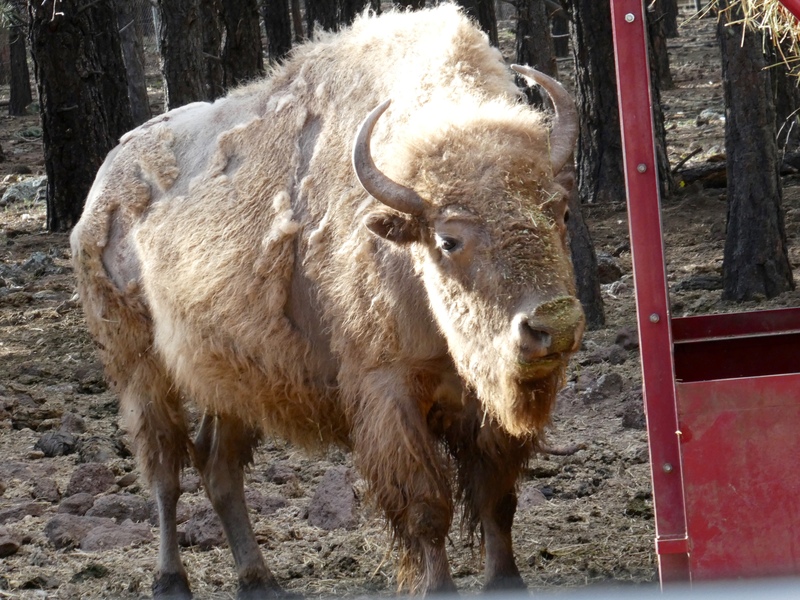 Brown bison are also losing winter coats. 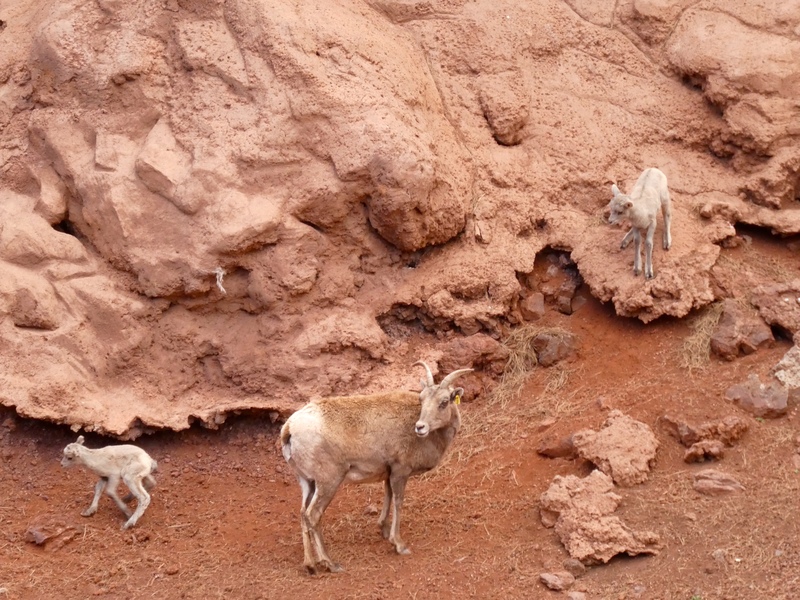 These baby Big Horn Sheep were so cute. Seemed like it was just learning to walk. This is what our moms love. They are fascinated by bears. Is he watching us? 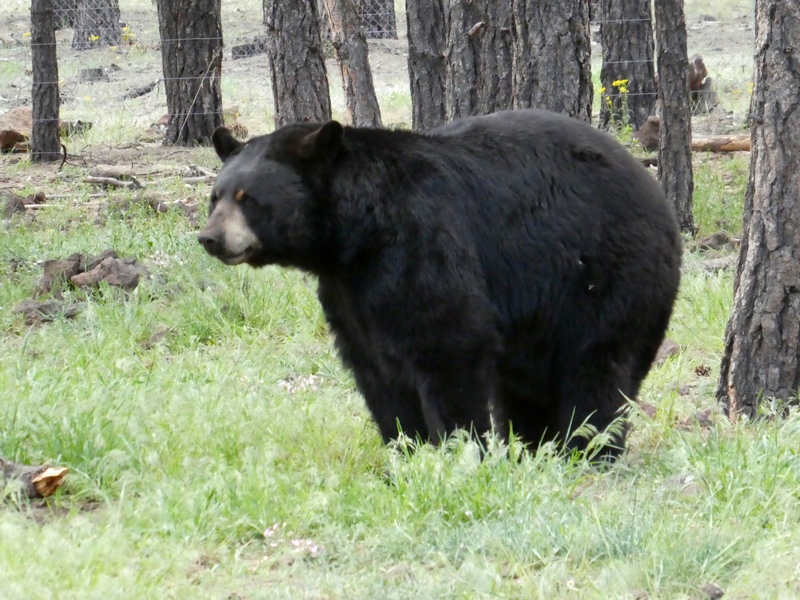 Yes, we live in Colorado and bears live in Colorado also, but they still love those furry, adorable bears. This is a younger bear. Looking for fun. Or trouble? He is still playful and unpredictable. He must be hungry. Time to pick his own tree branches. The preserve is about to close and this handsome guy is ready for a nap. Parking the car, we head to the Stroll It section. 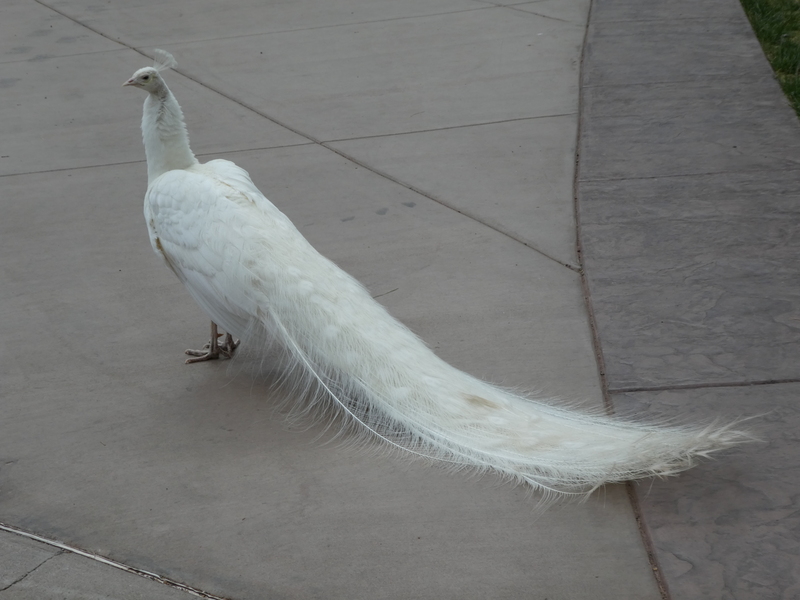 Look at this beautiful pure white peacock. This beauty had no fear of us. We had to walk around him. Moms just thought this bird was fabulous. Hey moms, remember we are birds, also. 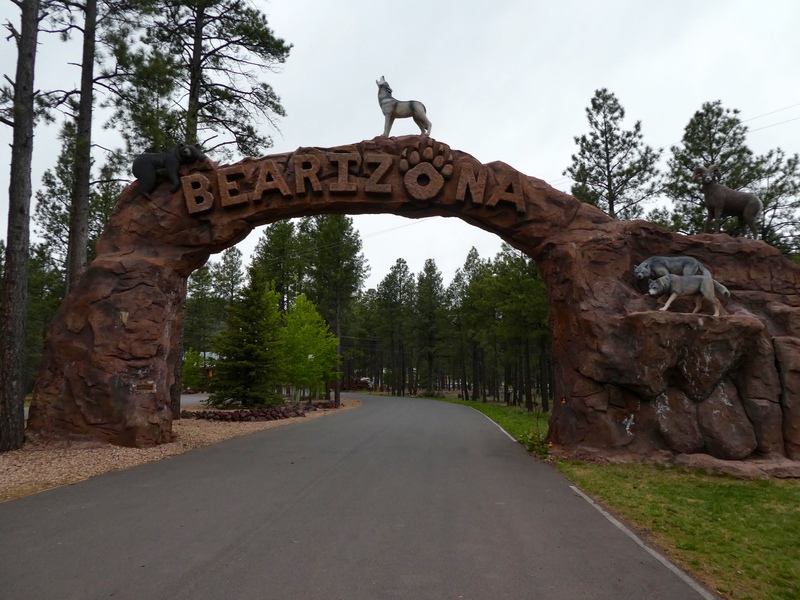 After a quick walk through the gift shop, and a few purchases, we left Bearizona. The wildlife park was closed and the employees were ready to go home. 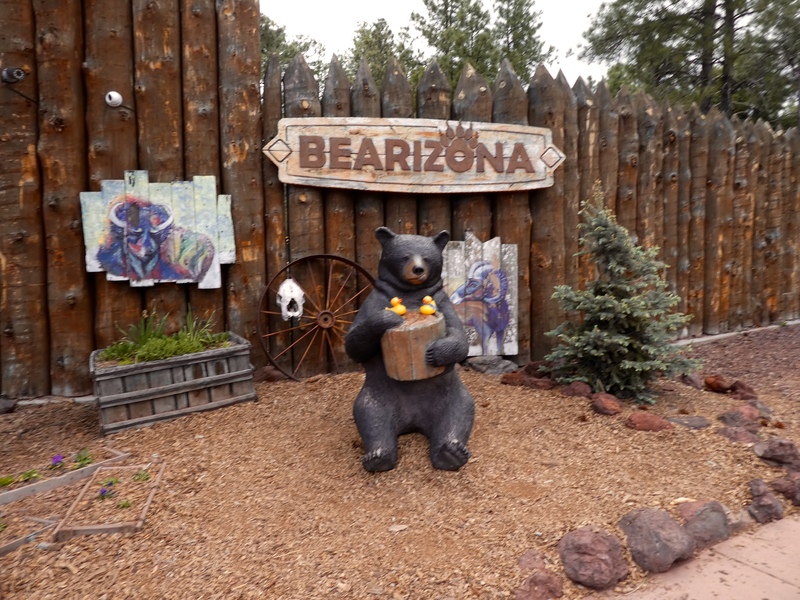 When you are near Williams, Arizona, stop at Bearizona. There is so much more than we saw and showed you. You will find something to love. 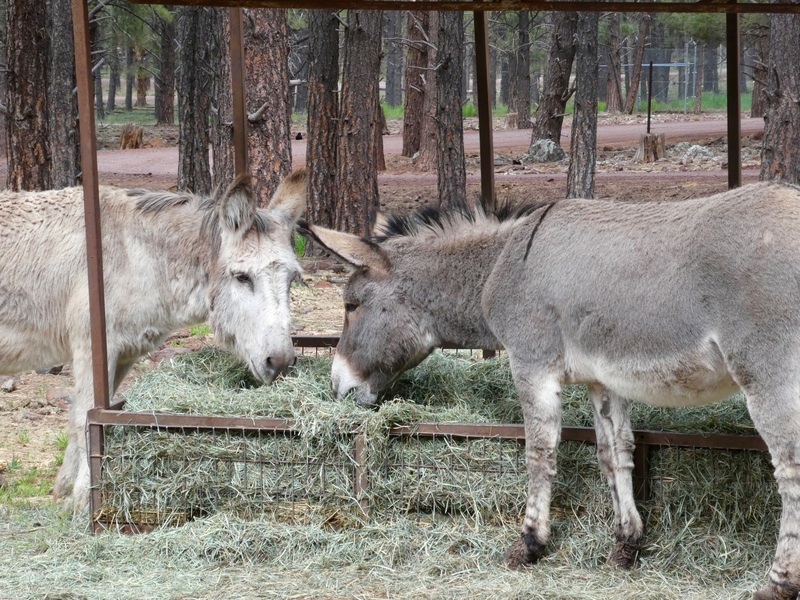 For more information visit http://www.bearizona.com Tell the animals we still remember them. 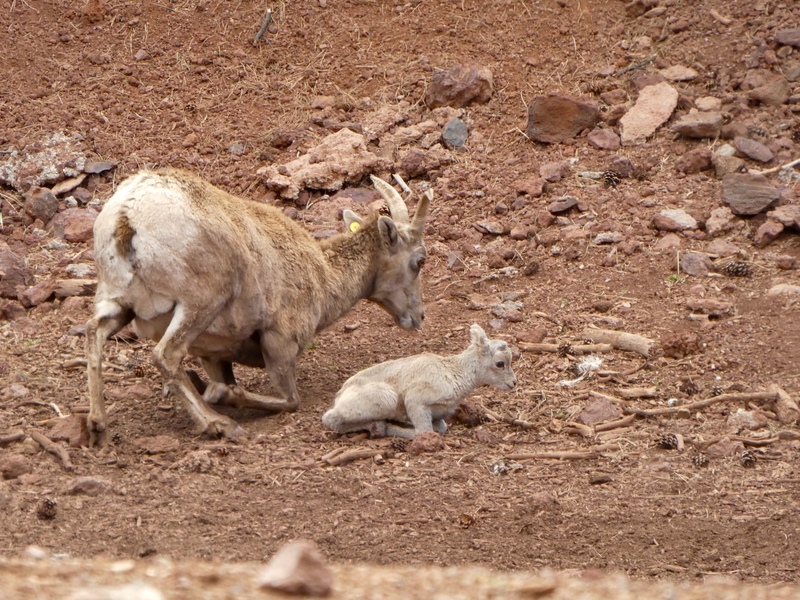 This entry was posted in Arizona, Uncategorized and tagged Arizona, Bearizona, Bears, Big Horn sheep, Colorado Traveling Ducks, white peacock, Williams. Bookmark the permalink. Well don’t that beat all! How fun it would have been to meet Soapy Smith duck! I live in Williams. I am a great-grandson of the real Soapy Smith, the 19th century bad man of Colorado and Alaska fame. I authored the book, Alias Soapy Smith: The Life and Death of a Scoundrel. It would have been an honor to meet you. 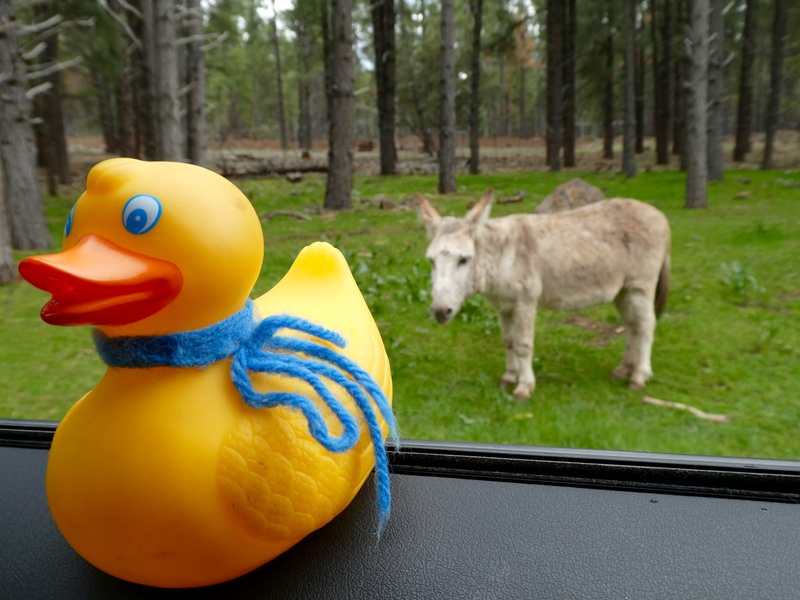 We humans and Soapy Smith Duck would have enjoyed hearing stories about your great grandfather. Also stories about your life in Williams. Thanks for reading and commenting.